Puzzling fun for all ages! 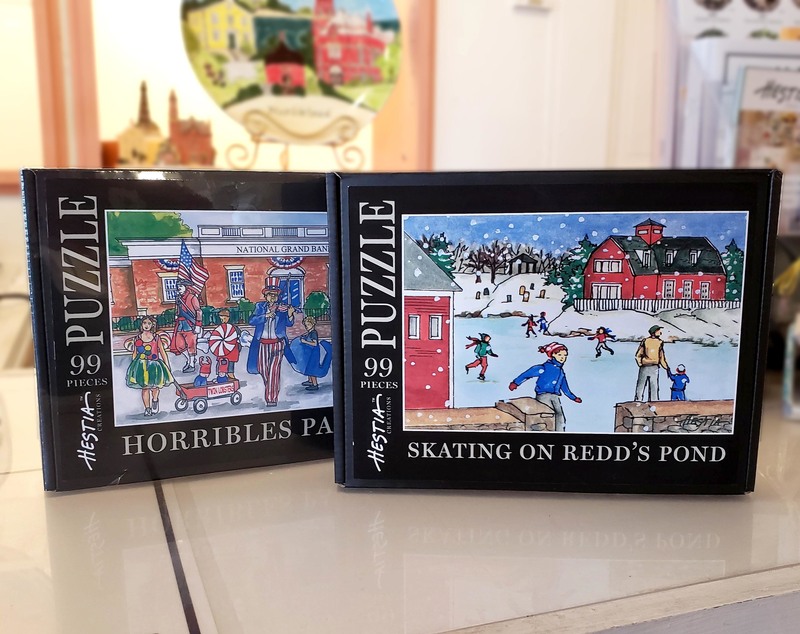 Our exclusive puzzles are available featuring 2 different images, the Horribles Parade and Skating on Redd's Pond. When completed puzzle measures 12" x 18." Each image is an original watercolor painting created exclusively for us by one of our studio artists. "Even the kid puzzles are a good challenge" says our in-house puzzler, Susan Thompson. Use the Radio Buttons to select your image.